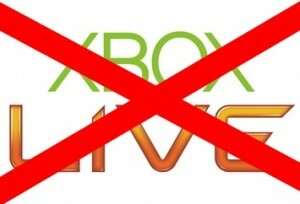 One More Xbox Live director hacked ! Here’s an interesting way to get noticed for a job (or fine) by Microsoft..
A hacker known as “Predator” has been able to phish information from Xbox Live’s Director of Policy and Enforcement, Stephen Toulouse (aka “Stepto”), gaining email and address information via his personal website server and was then able to alter the Chief’s details online. This latest hacker attack on Xbox Live accounts follows a leak of info belonging to Director of Programming Larry Hryb (aka “Major Nelson”) around this time last year. On the outset no serious harm was done by the little scam, but it’s a scam “Predator” hopes will make a statement to Microsoft in regards to their security policies. He states “I’m simply letting them know I’m willing to help them secure accounts from future hackers” – an innovative method of self-promotion! In a boastful video uploaded to YouTube “Predator” claims to be “Xbox Live’s greatest account jacker” and is raking in the cash from causing trouble for Xbox online gamers, attacking accounts which are “open to hacking”. The hacker’s arrogant attitude and boastful posts may actually get him more attention than he bargained for and not quite the attention he was looking to get. Other reports suggest this was a revenge attack, following 35 cases where the hacker was banned for user violations over the Xbox Live network. Massive fines are surely on the way once the little beggar gets caught!